Inocucor Corporation, a developer and producer of biological crop inputs for high-value produce and row crops, announced the $9.5 million USD ($12.1M CAD) second close of its Series B financing round. Funds raised to date in its Series B round now total $38.5 million USD ($50.9 million CAD). 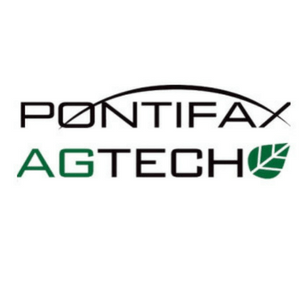 The round was led by Pontifax AgTech, a leading growth capital investor in the global food and agriculture sector. Other participants in the second Series B round include existing investors Cycle Capital Management (Montreal), Desjardins Innovatech (Montreal) and Cairn Investments (Denver). Inocucor’s first Series B equity financing of $29 million USD ($38.8 million CAD) in March 2017 was led by TPG ART with participation from existing investors. Funds will enable Inocucor to accelerate its commercialization activities, through the increased production and marketing of its first- and second-generation biostimulant products, Synergro® and Synergro Free™. They will also advance development of a new suite of biocontrol products that combat economically devastating diseases in high-value crops such as strawberries, tomatoes and potatoes. Inocucor uses a patented fermentation process to combine multi-strains of bacteria, yeasts and fungi into powerful biostimulants that naturally improve crop yields, shorten growing periods and create healthier, more resilient soils for farmers and greenhouse growers. A suite of microbial biocontrol products that target devastating diseases in potatoes, tomatoes and strawberries is also under development. Early next spring, Inocucor will occupy its new 30,000-square-foot U.S. headquarters and commercialization office currently under construction in Centennial, Colo. Its Montreal-based, R&D-focused Technical Center of Excellence is currently being enlarged from 10,000 to 20,000 square feet to house expanded product development and manufacturing operations. The company employs about 40 people in Montreal and the U.S., and anticipates adding another 25 to 30 high-level scientific and managerial professionals over the next year.